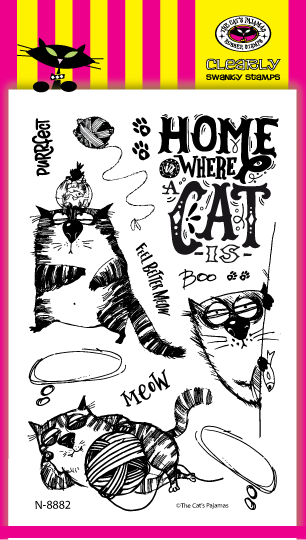 It's is time for the February sneak peeks for The Cat's Pajamas Stamps. 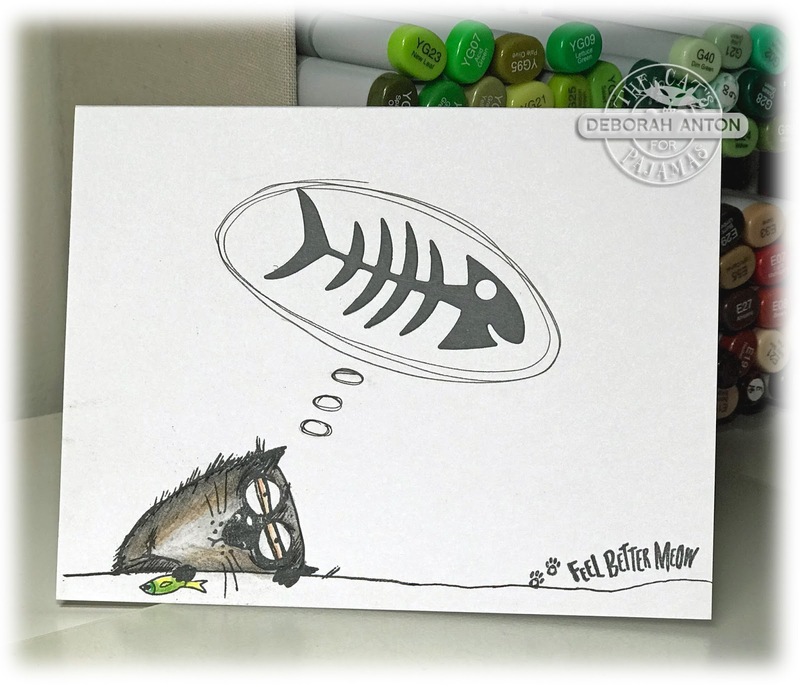 The Kitty Cat Pack have been busy creating to share with you this fun release on their designated day. Today is my day and I am excited to share with you two cards I have made. For my first card, it is all about family. One of the major points of this release. After the most recent news, it means more to always be sure to hold your loved ones close and tell them you love them. Tomorrow is not promised. I am using the new set of Big Family Words and the new Cut Up of Home Sweet Home. To create the image, I used my MISTI to place the words where I wanted. Of course, I wanted to place more, but an A2 card can only fit so many! 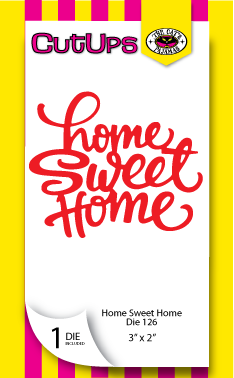 :) The smaller images were used as fillers before cutting out the words with the Cut Up of Home Sweet Home. That cut out was then glued on top of some fun foam for dimension and placed over the same spot. The ink colors were from my Memento collection of colors and the card was finished with a few rhinestones. For my second card, I couldn't help but make it CAS card to showcase this adorable cat. Not to mention he looks like how I felt this whole past week. :) This set of Home is Where The Cat Is is adorable and a perfect stamp addition for any cat lover. How cute is this set?! 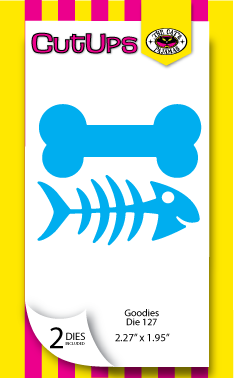 I couldn't resist using the fishbone as the poor kitty is there with no energy to even eat his catch. I colored in the image with my Koh-I-Noor colored pencils, something I haven't done in quite some time. The bottom line was extended before I stamped the sentiment and added the cute little paw prints. For the thought bubble, once I placed the fishbone where I wanted it, I hand drew in the bubbles to mimic the style that is already in the set. Are you In It To Win It? Leave a little love during the sneaky peeks and you could have a chance at winning a gift certificate to the TCP Store! Thanks for stopping by and peeking in!! Have a great rest of the week. Love them all, but #3 is particularly brilliant! I love the kitty card - so cute! Totally crazy over your adorable cat card! I would love to get that set to make cards for my nieces, both of which have three cats. What a great job on both cards. Your dreaming cat just made me smile and I love how you did the raised lettering. Love the cats! Great cards! Wonderful cads but the first one is amazing! Fabulous cards. I so love the kitty! I adore both cards Deborah! The fat cat one really makes me smile. Great cards -- my fave is the cat card-- purrfect!!!! I love the cat dreaming of fish! Adorable! Ahhhh, your cat card is so heartwarming and your designs are so clever,Deborah! Wonderful cards, Deborah! 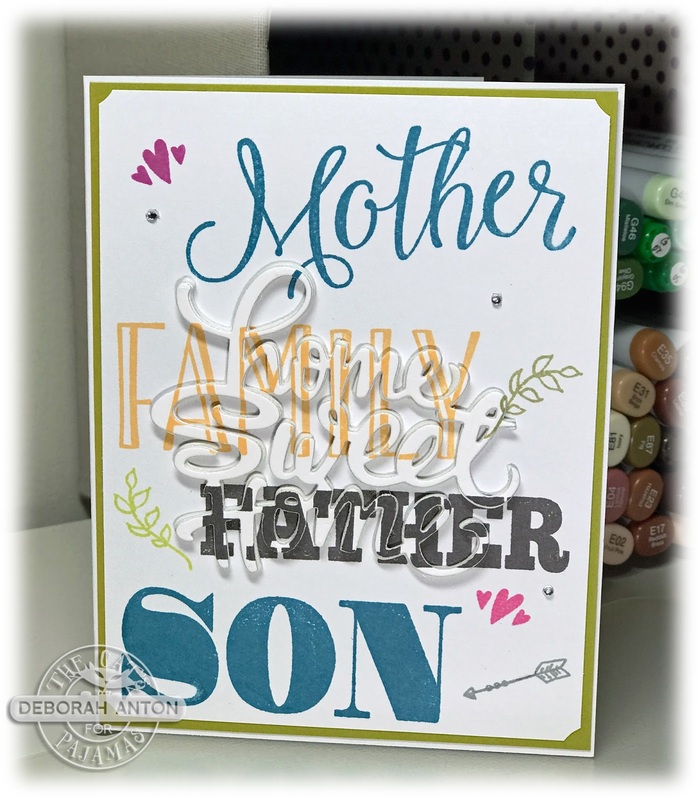 I love the clever use of the word stamps and die on the same card! Thanks so much for the inspiration!